The small town of Paradise, Kentucky isn’t feeling so blissful these days as the the future of the Paradise Fossil Plant remains in question. 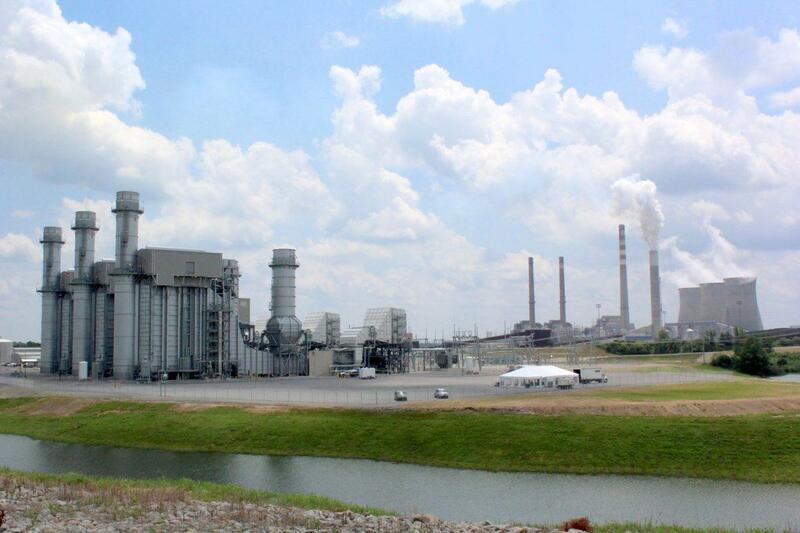 The western Kentucky community could learn on Thursday the fate of its last coal-fired power plant in Muhlenberg County. The Tennessee Valley Authority’s Board of Directors will meet in Chattanooga, TN to consider closing the Kentucky plant, as well as the coal-powered Bull Run Fossil Plant in Oak Ridge, TN. In an environmental assessment released on Monday, the TVA recommended retiring the nearly 50-year-old Paradise Fossil Plant, citing operating costs, unreliability, and the need for repairs. "The retirement of a unit with high maintenance and other costs would facilitate TVA’s statutory mission to provide reliable power at the lowest system cost," the report noted. The TVA has shuttered several coal-fired power plants in recent years, and the federal utility says those decisions have come down to economics and the changing nature of the power grid. “Some of these coal plants, including Paradise, are meant to come online and run for long periods of time, and because of our fluctuating load these days, we’re more often having to keep up with peak demands," TVA Spokesman Scott Brooks told WKU Public Radio. Danny Byars works for Murray Energy which supplies coal to the Paradise plant. His job prospects aren’t as dim as those who work at the plant, but he still worries about long-term job security. Byars has friends who work at the Paradise plant and other friends who moved from Kentucky when Units 1 and 2 were replaced by natural gas in 2017. Unit 3, which has been operating since 197, is the TVA's last coal-fired unit in western Kentucky. The plant currently has 130 employees and TVA says some will be offered other positions within the federal utility and about 40 percent of the workforce eligible for retirement. Still, that’s little comfort for their families and the community as a whole. Senate Majority Leader Mitch McConnell of Kentucky says if the facility is closed, the repercussions would be felt far and wide from plant contractors to local businesses. The Paradise plant produces four billion kilowatt hours of electricity each year, enough to power more than 950,000 homes. At a pro-coal rally last weekend in Muhlenberg County, Governor Matt Bevin said the nation can’t produce the amount of electricity the world needs without coal. The TVA's environmental report said that energy demand in the utility's Southeast region was "flat to declining." The TVA says coal will continue to be part of its power portfolio, but the utility has become increasingly less reliant on coal. “We’ve moved to more diverse generation where it’s more equal parts-nuclear, coal, and natural gas which makes us less vulnerable to changes in demand, delivery, and pricing in any one of those generation sources," Brooks explained. Environmental activists say it’s time to move on from coal-fired plants to greener forms of energy production. The Paradise plant’s future comes down to a vote on Thursday by the TVA's seven-member board of directors. Senator McConnell and Governor Bevin have asked that the vote be postponed until the board, which has two vacancies, is at full strength. The meeting on Thursday begins at 9:30 a.m. ET and will be streamed live on the TVA website. Kentucky Governor Matt Bevin says closing the last coal-fired unit at the Paradise Fossil Plant in Muhlenberg County would be a "huge mistake." Bevin outlined his concerns this month in a letter to the Tennessee Valley Authority. The TVA is considering closing the last remaining coal-powered unit after an environmental assessment projected it to have high future maintenance and environmental compliance costs. The Paradise power plant in Drakesboro has been in operation since 1970. Units 1 and 2 were replaced with natural gas generation in 2017. Listen to the last in a three-part series. Brittany Patterson visits Little Blue Run, which activists call an example of the risks from weak regulation.